With Intel completing a clean-sweep of the processor categories, our options for motherboard were made somewhat narrower. KitGuru readers will always gravitate toward performance, stability and owning the latest technologies. Over on Facebook, KitGuru has over 313,000 followers and when you guys post, we pay attention. One area where you are not scrimping is with motherboards. For that reason, we have decided to give one award to the best X99 board and a second for the best Z170 board – suitable for builds with either the Core i5 6600K or Core i7 6700K. With all of the stand alone motherboard reviews we have produced in 2015 – alongside the Z170 boards we have seen inside systems supplied for testing – one product stood head and shoulders above the rest. When the only negatives we can find are ‘Some of the overclocking features take time to master – like LLC’ and ‘If you use a graphic card above the M.2 slot with a U.2 adapter then things can get tight’, then you know you had to look for ‘downsides’. The Asus Maximus VIII Hero weighs in around the £170 mark, so it’s not cheap, but you get a hell of a lot of board for your money. 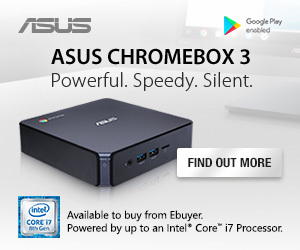 The work that Asus has done in the area of audio quality showed through in our RMAA testing and there is a smart allocation of storage and connectivity interfaces – alongside USB Type A and C interfaces – but the jewel in the crown is the UEFI BIOS. For those who are relatively new to overclocking, the profiles offered by Asus will give you great results. For experts, the fine tuning options are really straightforward. 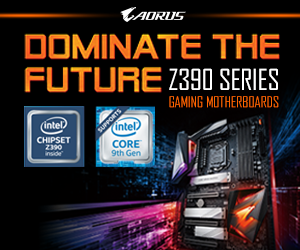 All round, if you are building a serious Z170 system, then the Asus Maximus VIII Hero is hard to beat. 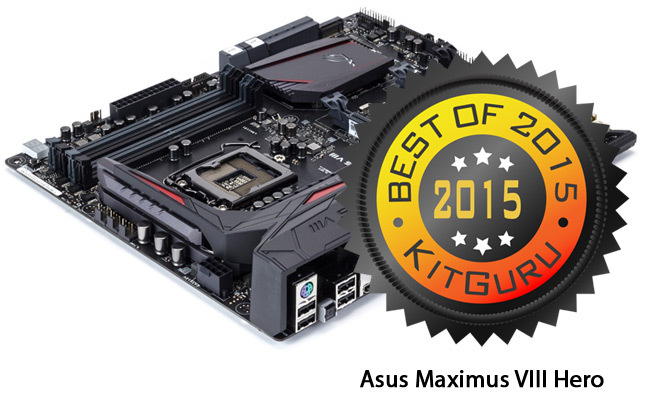 KitGuru’s choice for the Best Z170 Motherboard in 2015 goes to the Asus Maximus VIII Hero. Every year, the R&D team at ASRock manages to pull off at least one surprise – and this year it has been achieved with the X99E-ITX/ac Mini ITX motherboard. 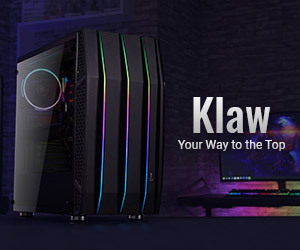 While gamers favour the seriously big chassis, with a ton of fans and lights, professionals are just as likely to want something small and gorgeous sitting on/around their desktop. 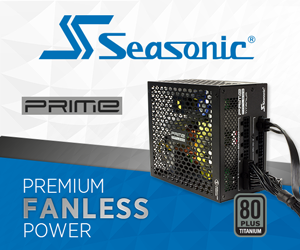 With the Core i7 5820K so easy to overclock – and delivering so much performance in professional applications – Mini ITX is an attractive option. When we reviewed the ASRock X99E-ITX/ac in June, it was the first board of its kind. Just as impressive as ASRock beating the rest of the big boys to market, was the fact that way that they managed to minimise the performance loss from such a shrink. 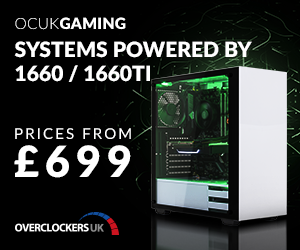 While you will want a larger board for world record attempts etc, if your aim is to overclock an Intel Core i7 5960X to its maximum stable level for everyday use, then the X99E-ITX/ac will give you that, easily. Haswell-E and Xeon processors (up to 18 cores) now have a good Mini ITX option – and data throughput from the 32Gbps Ultra M.2 connector is stunning. Dual channel memory is the only real bottleneck compared to a full sized X99 board and you will need to check whether the all in one liquid cooler you want to use will fit. Overall, an engineering masterpiece. At the time of going to press, this motherboard was around £189. 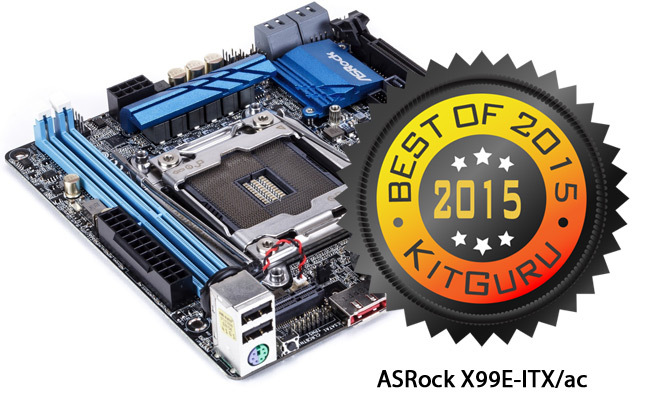 KitGuru’s choice for the Best X99 Motherboard in 2015 goes to the ASRock X99E-ITX/ac.